Last night i was trying to submit my first App in App Store. The steps to upload the app is not that easy , I have google multiple thing to get it right . Xcode version, my deployment certificate everything is hard to understand. 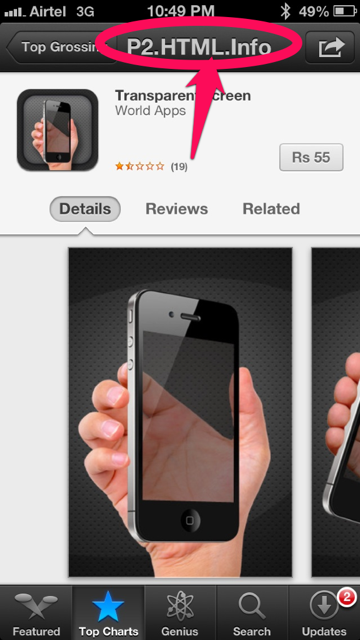 But at last I submitted my app. Initially I have named my app as "iMatcher", but while uploading, App Store did not allowed me to create with this name, so I ended up changing the name to "sMatcher"( ie star marcher) which I would say perfect name for my app. I think before we create any app , first we have register the app name to reserve it, because last minute changing the app name will lead to many confusion. I ended up changing my app name in multiple places as I have referred the app name in FAQ and about pages. 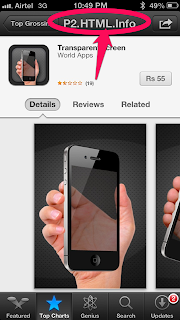 When I was searching for some app in my iphone5 suddenly I saw some issue in the app listing and app information page. I tried to capture those but did not get second time. But consistently I saw one error which shows some hint on the coding what they have used. Have a look at the picture, you will come to know what I am talking about.